Members get a $2.00 discount on this item at check out. 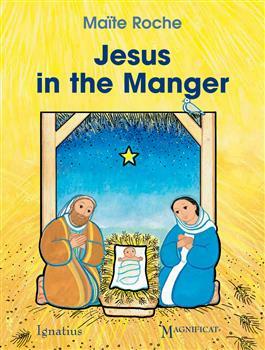 Jesus in the Manger tells the story of Christ’s birth to very young children. Warm and inviting illustrations with enchanting, interactive flaps help toddlers learn to recognize Mary, Joseph and baby Jesus, as well as the angel Gabriel, Mary’s house in Nazareth and the stable in Bethlehem. This engaging book will be enjoyed over and over again by little ones who will soon be telling the Christmas story themselves.